It is any distance of land or water either sea or river and it distinguished by what it contains like plant or animal or natural phenomena. These natural reserves aiming to conserve the various natural resources, also it participates conserving cultural and civilization heritage, for many of the important areas. 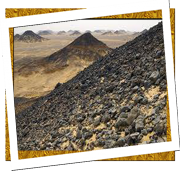 These natural reserves are as following : (Kobbet El Hassana —Eldest wal Maghrafa — English Mountain — Black Desert). 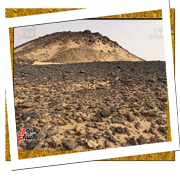 Is located 8 km from Giza Pyramids, at Abu Rawash, its distance is about 1 km, its height to west is about 149 m above the sea level, its height to east is 109 m, consisting of rocks and unique natural configurations, spreads with paleontological of plants Srkhsaih, Animals preliminary follow coelenterata and sponges, moreover some coral paleontological which helped to determine the age of ancient rock layers which looks like open museum. showing the full chronological for the it is old environment and climate during the upper Cretaceous period. the most important rear plant in this reserve is (Slolapacoa), it is a dwarf plant tree, also is considered as gallery for wild paleontology wild animals. 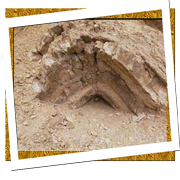 Considered as rear geological heritage as it was researching area for vertebrate paleontology since 1910 when first Egyptian dinasour was discovered as well as paleontological animals where in Concomitance. Situated in Buffer zone between Mindesha village and Baweety village ,it was given this name because the Stationing of British troops in this location is during the English occupation. 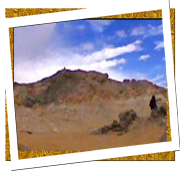 This mountain distinguished by its black beak caused by containing diorite and basalt both of them are volcanic rocks. Its location makes it important for tourism as it situated in The urban boundary in Baharya Oasis as well as there is roman spring at the mountain beak which overlooking the surrounding Farms. Situated between Baharya oasis and the new valley Govemorate, it is consist of limestone rocks and black hills which was formed I volcanic period, its height 150-390 m it has different colors some has the dark color cause of diorite and irony Quartzite, some others are reddish cause of irony Quartzite ,little of these hills have the white limestone and it attracts the tourist cause of it is various colors the red, orange and yellow.